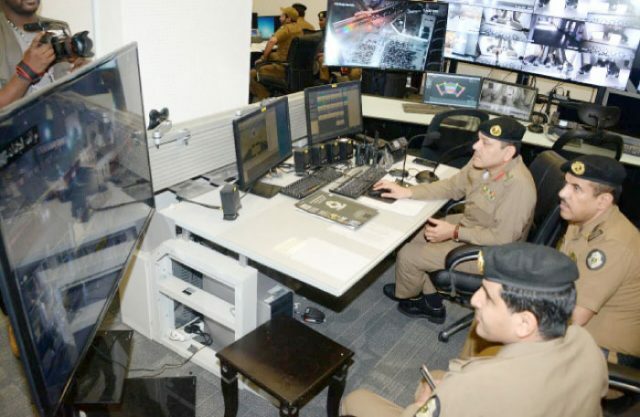 MAKKAH — The Command and Control Center at the Public Security has installed as many as 2,200 surveillance cameras around the Grand Mosque and the Haram Central Area to monitor the movement of pilgrims and worshippers during the holy month of Ramadan. 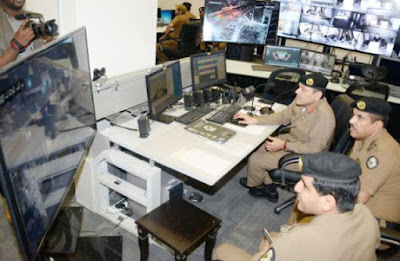 Col. Tareq Bin Ahmad Al-Ghoban, commander of the center, said that the center is operating around the clock from the Makkah Public Security headquarters in Mina, monitoring every single movement of worshipers and giving the security personnel necessary instructions. Speaking to Saudi Gazette, Al-Ghoban said the directive of Prince Khaled Al-Faisal, emir of Makkah and adviser to Custodian of the Two Holy Mosques, to impose a temporary ban on non-obligatory prayers in mataf (circumambulation area around the Holy Kaaba) and masa’ (running area between Safa and Marwa) has contributed significantly in easing the rush. “The Haram Special Security Forces are exerting efforts to enforce this directive strictly and thus ensuring smooth flow of Umrah pilgrims,” he said. Al-Ghoban said the Command and Control Center is shouldering a tough task of easing the flow of pilgrims at the Central Haram Area as well as the movement of vehicles in the holy city. “The center’s officials manning security cameras send messages to the security personnel about crowd at every nook and corner of the Haram, so as to divert the flow of pilgrims to those areas that are less crowded. The center also regulates the vehicular movement at the entry points and exits of the holy city,” he said. The center is fully equipped with high-tech devices and well-trained human resources. According to Al-Ghoban, a uniform number of 911 has been in force for the operations the center instead of the number of 987. The center will coordinate all its crowd management operations with the concerned agencies and departments under this number.